One of my favorite things to eat from the garden is new red potatoes. Potatoes just don’t taste the same after they have been stored all winter. They are so soft and fluffy right now. Because I love them so much, my family eats them almost every day. At least once. 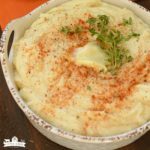 There are so many yummy ways to serve potatoes, but this has to be one of my favorites. They are faster than baked potatoes. Score for me! And they taste so good. After all, everything is better with bacon, cheese and sour cream. Right? I didn’t take very many pictures of making these for three very good reasons. 1. Two members of my family needed to head out the door about 45 minutes after I started making dinner. 2. I already had the cheese grated and the bacon fried. 3. You guys are smart and you can figure it out! Boil the potatoes until tender. If they are big potatoes cut them in half before you boil them. If they are small boil them whole. Line a baking sheet with aluminum foil and spray it with cooking spray. 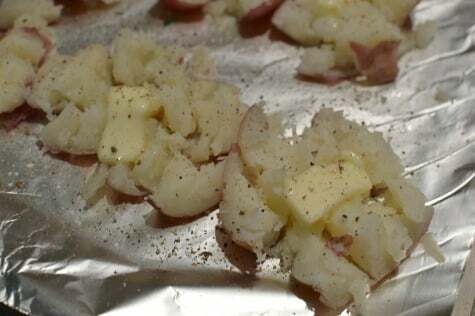 Cut potatoes in half and lay skin side down on baking sheet. 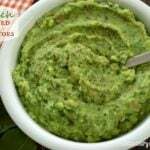 Smash with bottom of glass or with a potato masher. Place a “pat” of butter on each potato. Liberally sprinkle with salt and pepper. Potatoes need lots of salt. Bake in 425 degree oven for about 15-20 minutes until they just begin to get browned and crispy. Dallop with sour cream. (Did that remind you of the song “A dallop of Daisy” on the Daisy sour cream commercial?”) Load each potato with cheese, chives and pieces of bacon. Besides being quick and easy enough to make on a week night, these are pretty enough to serve to company! Easy enough for a weeknight, pretty enough for company! 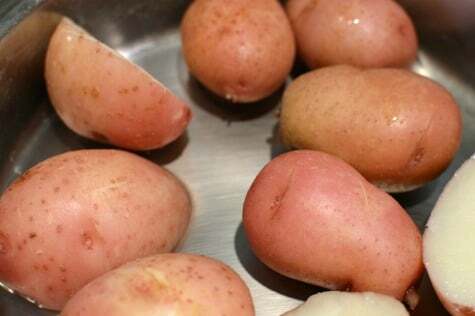 Boil potatoes until tender, about 15 minutes. If the potatoes are big I cut them in halves before boiling. Line baking sheet with aluminum foil. Spray with cooking spray. 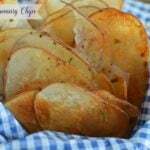 Cut potatoes in half. Set potatoes on baking sheet skin side down. 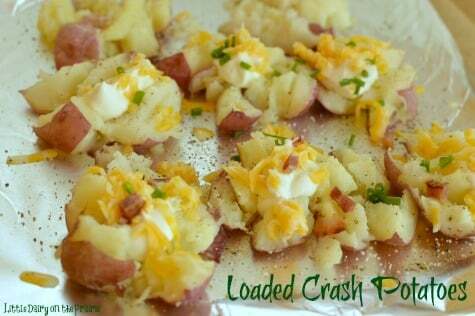 Smash with potato smasher or bottom of a glass. 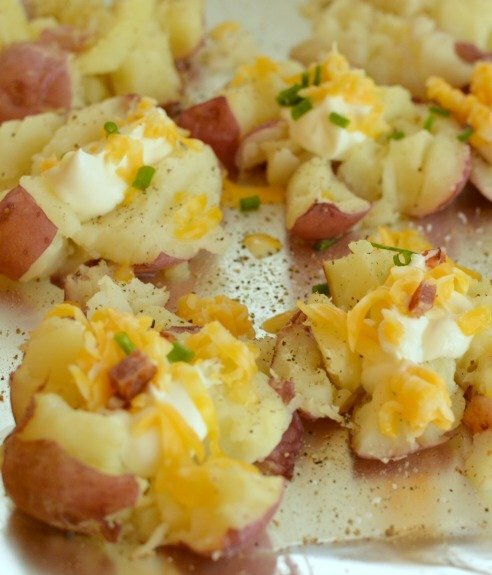 Dot tops of potatoes with about ½ teaspoon of butter. More or less to taste. Usually more!! Bake in 425 degree oven for about 15-20 minutes or until they just begin to get golden brown and crispy. Dallop tops with sour cream. Sprinkle bacon, cheese and chives on top. Love the green plate, it is to pretty with the potatoes. I am a farm girl, and I have a lot of memories about working in the potato fields. 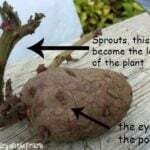 From seeing the trucks of potato seed delivered to the farm and riding on the seat of the planter in the spring, to pulling weeds in the summer, to picking mud clods off the harvester as the spuds moved up the belt and into the trucks in the fall. I wish everyone in America could experience raising fields and fields of potatoes, you know, the law of the harvest. Needless to say, I grew up eating a lot of potatoes, and to this day, they have a very special place in my heart. I could eat them three times a day as well, and I prefer them over rice or pasta. 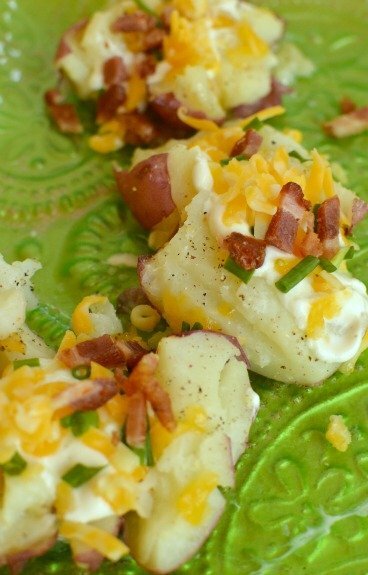 What a slick and easy way to make a loaded baked potato. I agree, simple enough for everyday, but pretty enough for company. I like that.